The hospital is the last place where a patient expects to be mistreated. Imagine a patient being admitted as someone with the same name but different medical conditions on their health record. Such cases of patient record mix-ups and their adverse health effects occur frequently across many healthcare institutions with over 100,000 patient deaths each year that are attributable to what should be easily avoidable errors. Moreover, hospitals are losing millions of dollars annually from claims that are denied because of erroneous medical treatment and inaccuracies, as well as write-offs from patients that falsify their identity to receive free treatment. “This is a serious issue—it could be any of us or our loved ones included in those 100,000 fatalities,” says Mizan Rahman, founder and CEO of RightPatient’s parent company, KernellÓ. 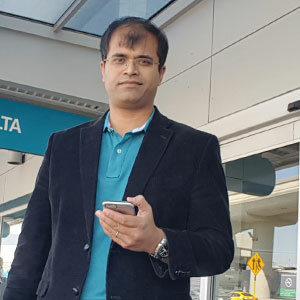 In light of this serious issue affecting the healthcare industry, Rahman and his team at RightPatient, a personalized patient experience company based in Atlanta, GA with its R&D team in Silicon Valley, are pioneering the practical usage of AI in healthcare to save thousands of lives each day, improve the patient experience, and boost hospital profitability. Why can’t a returning patient be automatically checked in as soon as they arrive at the facility? Why do we require patients to use anachronistic and bulky kiosks to simply indicate that they are present? Why shouldn’t a nurse be automatically notified that a patient with special needs is waiting in the lobby? “Our system injects real-time awareness into the hospital using existing vision sensors (a.k.a. security cameras),” explains Rahman. The RightPatient platform is currently being used in over 75 hospitals across the U.S. and processes about 10 million annual patient visits. The era of value-based care and reimbursements based on HCAHPS (Hospital Consumer Assessment of Healthcare Providers and Systems) patient satisfaction scores carries the promise of big rewards and the risk of significant penalties. Press Ganey reports that a hospital with $120 million annual revenues can improve patient satisfaction and realize an estimated $2.2 million to $5.4 million in additional revenue annually. RightPatient brings an out-of-the-box approach to improve care and service quality by providing a VIP experience to patients—something that is otherwise only available in the high-end hospitality industry. Imagine a patient connecting to a remote agent over a video phone to schedule a follow-up appointment where the agent provides a truly personalized experience— greeting the patient by name and knowing precisely how to address the patient’s needs. RightPatient customers are achieving this magic with the power of AI. Having been in the healthcare industry for about five years now, RightPatient is regularly observing the impact of its solution within the healthcare ecosystem. For example, Novant Health, a RightPatient customer with the solution fully integrated into their Epic EMR system, had a disoriented patient with no ID show up at one of their medical centers. “The hospital had no way to determine who the patient was and therefore no way to access her health conditions and medical history,” states Rahman. However, using RightPatient, Novant was able to quickly and accurately retrieve the patient’s details across health information exchanges and integrated delivery networks just by taking her picture. Talking about the company’s roadmap, Rahman believes that the healthcare industry is going through a significant transformation. Struggling with profitability and the fear of being disrupted entirely, healthcare organizations can no longer afford to define the transformation as switching between different vendors that offer similar solutions. The innovative organizations will need to tap into a new way to improve their bottom line, increase operational efficiency, and make their customers happy. RightPatient is focused on providing such a platform for the hospitals that aspire to evolve as highly innovative organizations.